BEST VALUE in Roxborough Village! PLUS this one has a Master Bathroom, Updated Fireplace, New Laminate Floors, New Stainless Appliances & a great location with views all around! 3 bedroom, 3 bathroom, NEW roof in 2018. This move-in ready home features an inviting family room with fireplace which opens into the gourmet kitchen, pantry and eating space. Upstairs living area showcases 3 VERY LARGE & SPACIOUS bedrooms including a Master suite with mountain views, walk-in closet, ceiling fan and en-suite bathroom. 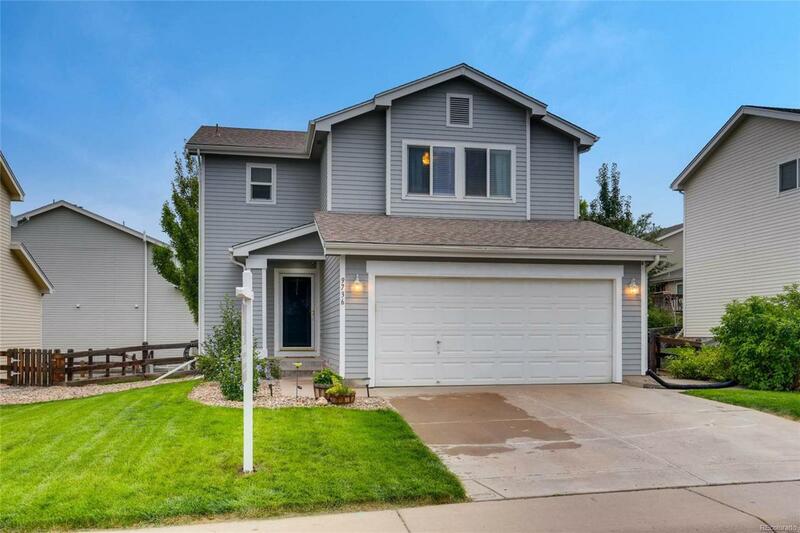 2 car garage and fenced yard with deck and patio provides the perfect place for entertaining or casual living. Close to openspace & trails; Fall in love with the beautiful Roxborough community with miles of biking/walking trails and parks. Walk to area Elementary School.